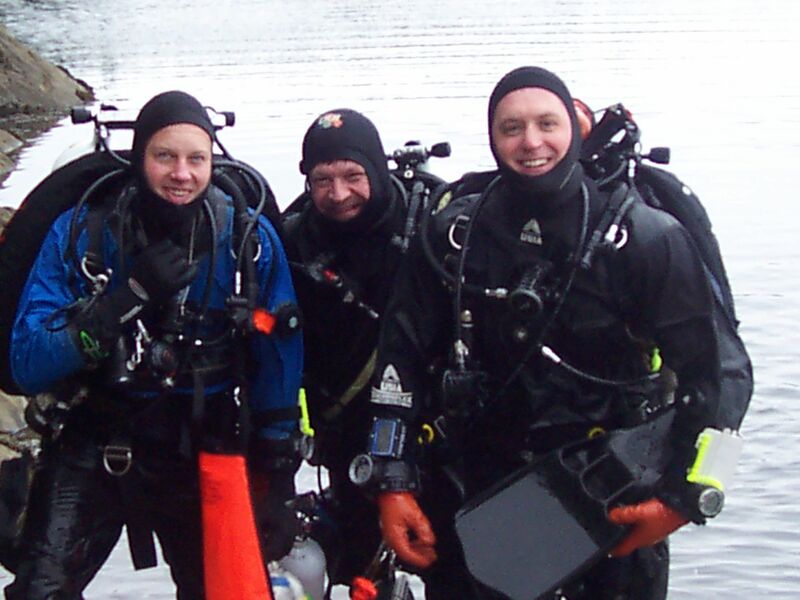 On the 14th of March, a small group of Portland Oregon technical divers completed their Tec 40 journey that started back in January. 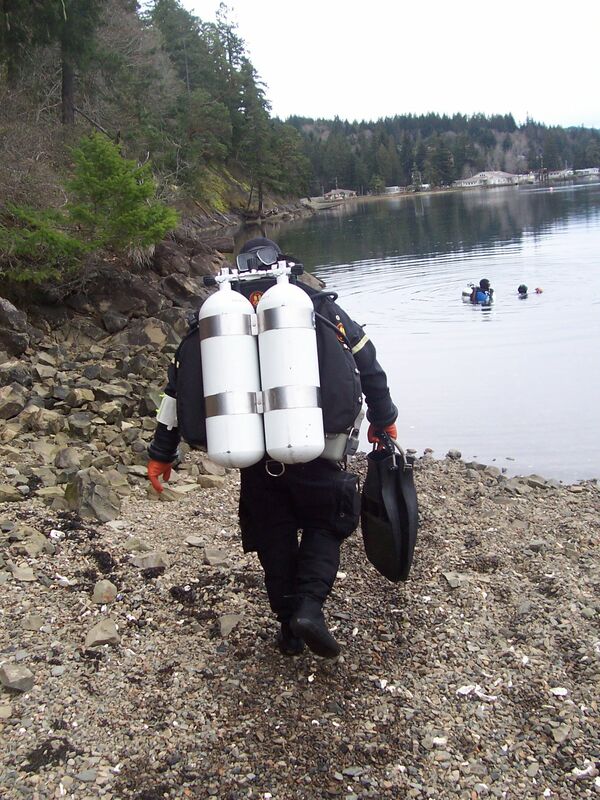 Breaking some new ground, HiTek Scuba completed a DSAT Tec 40 class this month, probably the first one held in Portland, USA since the release of the new program style late last year, and possibly the first “Tec 40” certifications in Oregon. This class was one that had some interesting twists of fate. The first was the schedule. The schedule was laid out in January based on the availability of the instructor, Cliff Cammert, and his students. As it turned out, it was fate at work. Unknowingly, the first set of dives ended up being scheduled for Super Bowl Weekend (February 7th)! So while most people in the Pacific Northwest (and maybe the world) were watching TV, the students were hard at work learning and practicing valve drills, long hose S-drills, etc. for the first time. Three valuable lessons were learned that day. 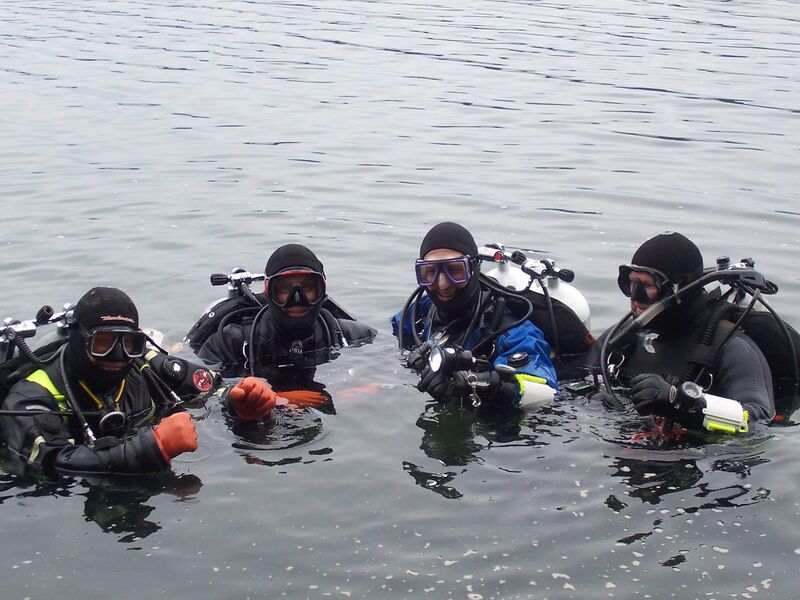 First, very few people are out there diving on Super Bowl weekend so the class had the usually packed Sund Rock dive site in Hood Canal, Puget Sound, all to themselves. Secondly, how tight (or loose) your harness is changes the ability to reach (or not reach) your valves during valve shut down exercises. During the very first dive in his doubles, student Brian Colclazier was surprised that he didn’t have much trouble reaching his valves. Dive two was a different story, after he switched to a looser harness. Brian states, “They kept slipping back! It was driving me crazy. 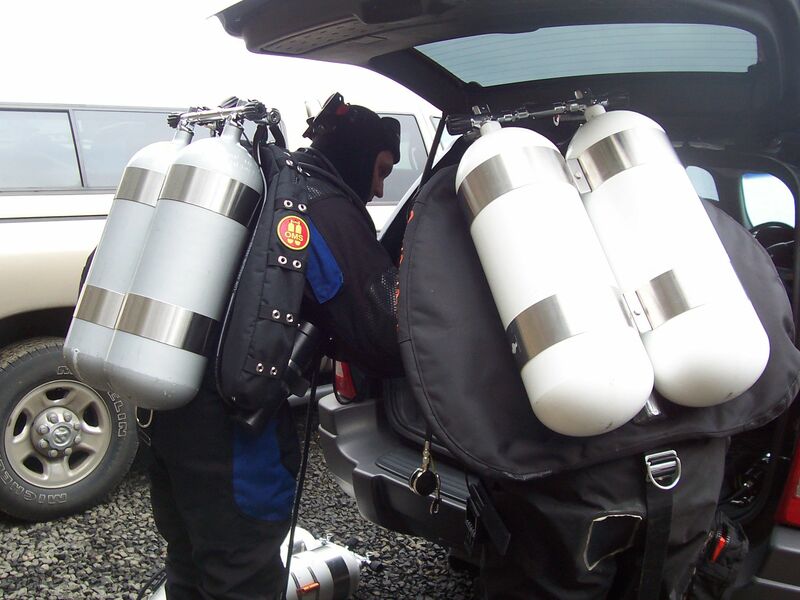 I was supposed to be better on dive two not worse.” Final lesson, dive stores tend to close early on Super Bowl Sunday…. who’d a thunk it! By another twist of fate though, the group was held up because of needing a last minute doubles blend done on the fly at the local shop. A set of twins had been ordered up ahead of time for pick up that morning, but as fate would have it, it was filled with the wrong mix. The good news was that diligence in gas analyzing caught it, and the problem was fixed in the shop, the bad news….now the team was late. Unknown to the team at the time however, this would be a good thing. Several divers went to the site so early that just as the HiTek Scuba group got there the other guys had already done their dives and were leaving. “We were so late that we got front row seats, what are the odds?” commented James Tunnell, one of HiTek Scuba’s Dive Masters. The dives were absolutely amazing. The visibility in Hood Canal that day was easily 40-50ft, very, very rare at this location. On their certification dive, the team did a simple 130fsw dive on the top of one of the deep walls at the site. Perched out in the open, surveying his domain was a very large pacific giant octopus in all his (or her) glory. At the end of a day that started a bit stressful, the second actual deco check out dive was amazing, and went off without a hitch. Diving well below all of the silt stirrers just simply rocks.